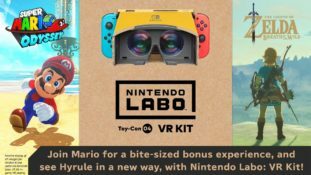 Super Mario Odyssey Announced for Nintendo Switch! A while ago, a short clip of Mario running around a desert town was shown in the reveal trailer for the Nintendo Switch. 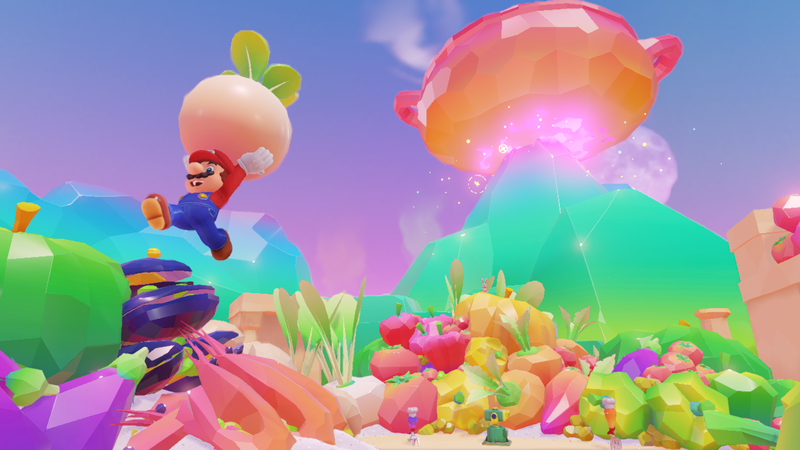 This video showed a new 3D Mario title with new concepts and characters, and hinted that a Mario 64 style title could be in the pipeline in the foreseeable future. And yesterday, it was officially announced. 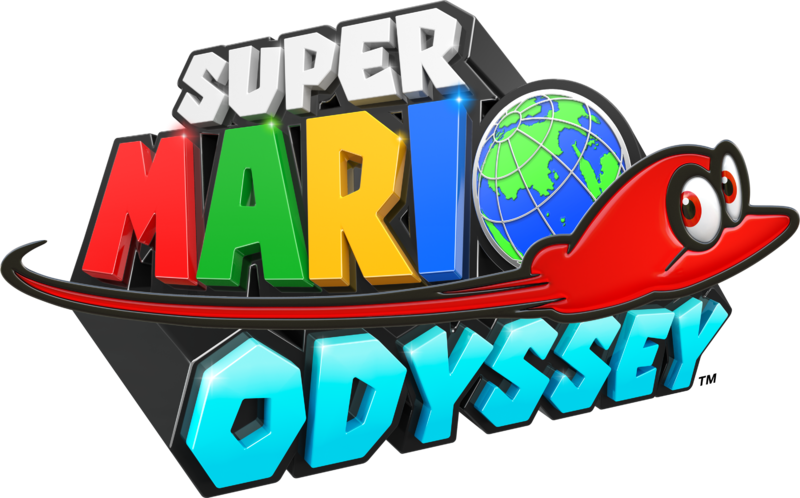 Super Mario Odyssey would be that revolutionary new 3D Mario game for the Switch. Well, that it looks incredible, that’s what! I mean, I liked Super Mario 3D World, and I liked Super Mario Galaxy and Sunshine before it. Those were good games. But what I’ve always really wanted was a proper to god non linear sequel to Super Mario 64. Like the Super Mario 64 2 that was in development decades ago. 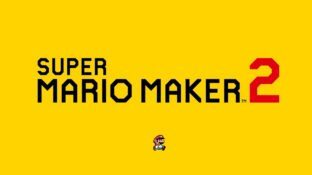 A game where Mario can go and explore. Where 3D is more than just a visual effect. And Super Mario Odyssey looks to be that exact game. It’s got big open worlds, like a giant city, Mexican town and haunted forest to run around in. 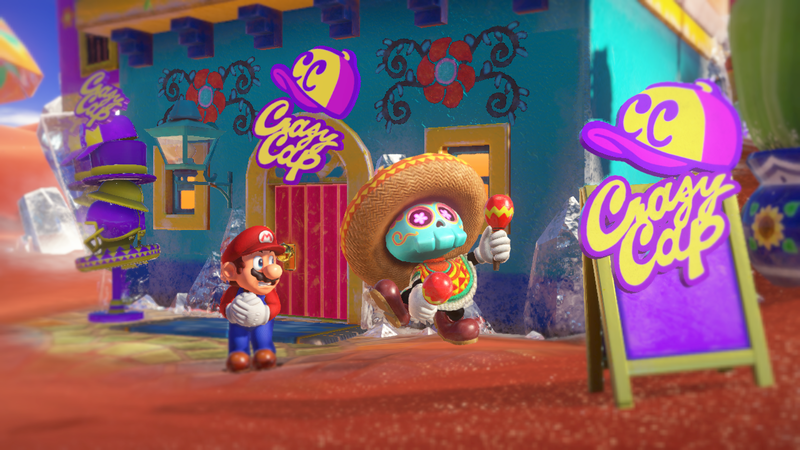 There are tons of new characters and concepts, like the legions of human NPCs, the weird skull people NPCs based on the Mexican Day of the Dead festival, a large dog Mario can ride like a Yoshi and numerous new species of enemies. Mario can use his hat as a platform to reach new heights. 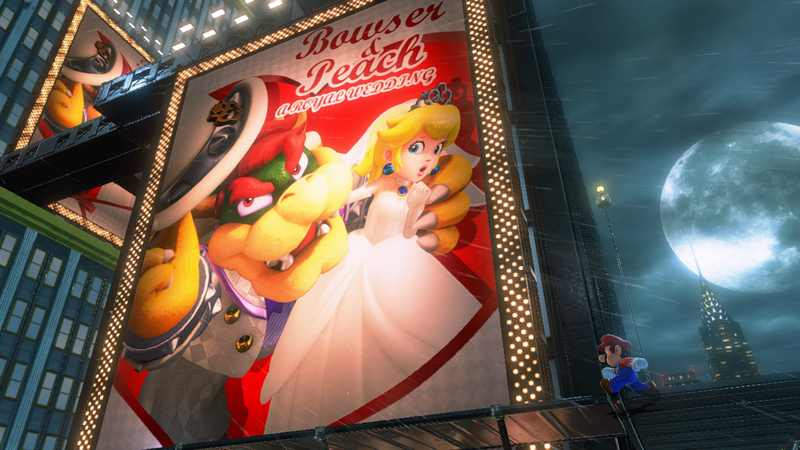 Bowser returns looking like a Southern gentleman in a white tuxedo. 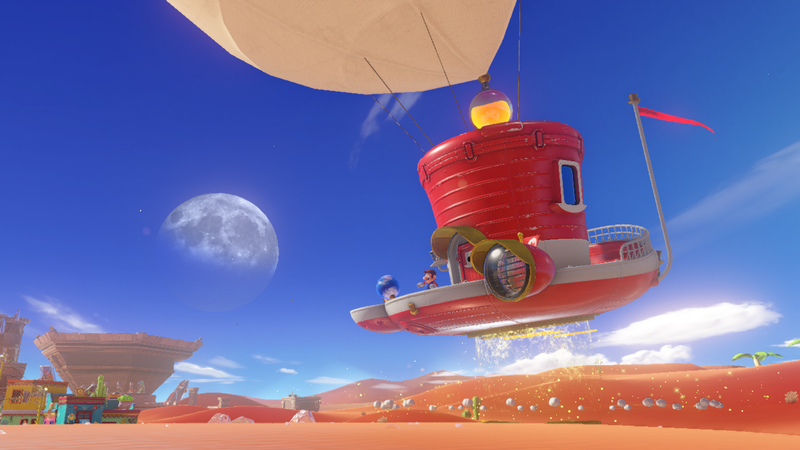 Basically, it looks like Super Mario exploring the real world, and it looks like an incredibly fun experience all round. But that’s not all it is. It’s also the end to the ‘generic Mario’ style. Well, look at New Super Mario Bros. Or the 3D Land/World games. Or Mario & Luigi Paper Jam. They all seem to be going for the same generic style. You know, lots of generic Toads, overdone SMB 3 style settings, Koopaling overload… It’s the style that made Mario feel soulless in the Wii U era. Yet Super Mario Odyssey doesn’t have it. The worlds are unique and interesting to explore. The NPCs are not generic Toads. The gameplay isn’t straight out of Super Mario Bros 3. Instead, it’s all fun and original. It’s how Mario should be. And it’s why Super Mario Odyssey currently looks to be my most anticipated game on the system. Because of what it promises for the future of the franchise. Either way, it’ll launch this holiday system. This game looks awesome. It's like if Sonic 06 met The Super Mario Bros movie from the 90's. 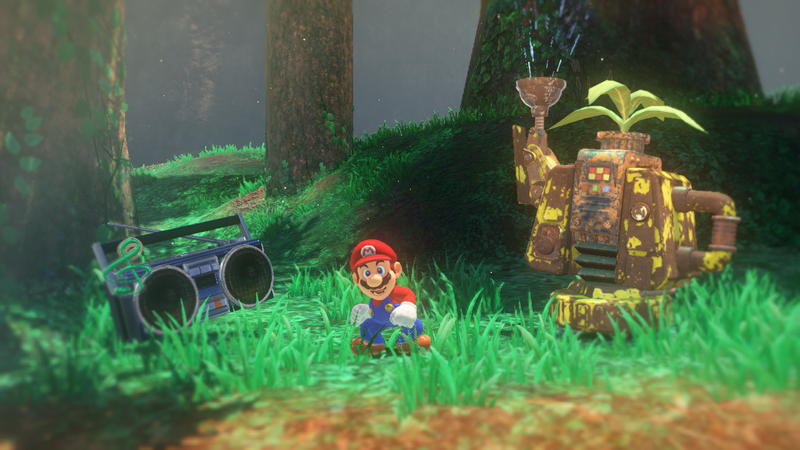 Mainly because it taking place in the real world, but hey, If this game turns out to the be the Sonic 06 of Mario games, I might be the happiest Mario fan in the world. 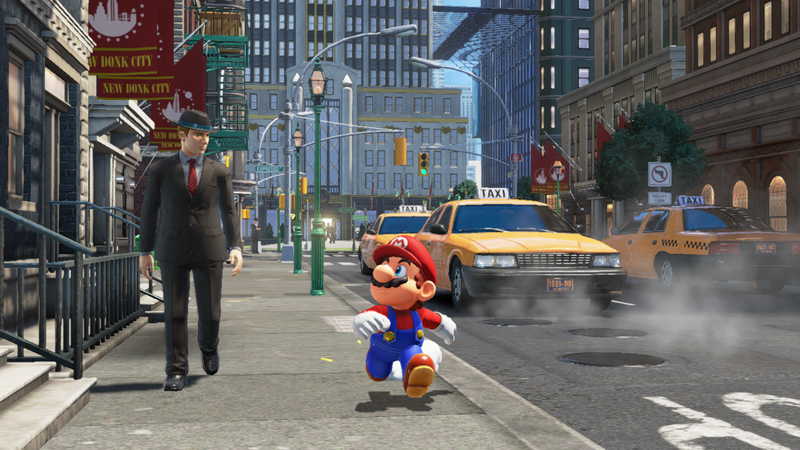 I also really like how Mario throws his hat like Oddjob from James Bond. He even has an interesting "spin dash" attack like Sonic. Looks very good! Not sure when I'll get it but I think it will be the best 3D game in a long while. 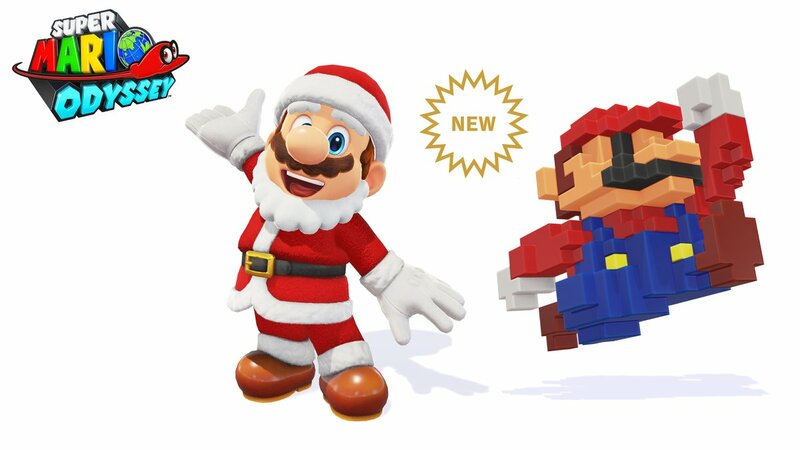 The Santa Costume and 8-Bit Mario Cap Have Been Released for Super Mario Odyssey!